Booth #6773 - This year’s show will be an importing stepping stone into our next chapter as we rapidly expand our distributor network and market traction. OnRobot is the global leader of end-of-arm-tooling for collaborative robot applications. Established in 2015, OnRobot merged with Perception Robotics and OptoForce in 2018, followed by a recent acquisition of Purple Robotics. Our product range now features a wide assortment of robot equipment, including: electric grippers, force/torque sensors, gecko grippers, and tool changers. This new combination of offerings makes it quicker and simpler to automate tasks such as packaging, quality control, materials handling, machine operation, assembly, and welding. Headquartered in Odense, Denmark, our North American office is located in Dallas, TX. We also have offices in Germany, China, Malaysia, and Hungary. This is our second showcase at Automate, our debut in 2017 helped facilitate our entry into the U.S. market, paving the way for crucial new customer and sales partner relationships. This year’s show will be an importing stepping stone into our next chapter as we rapidly expand our distributor network and market traction. Integrating grippers with robot arms is often one of the biggest headaches when developing new robotic applications. A major obstacle is mismatched I/O signals between the end-of-arm-tooling (EOAT) and the robot arm. 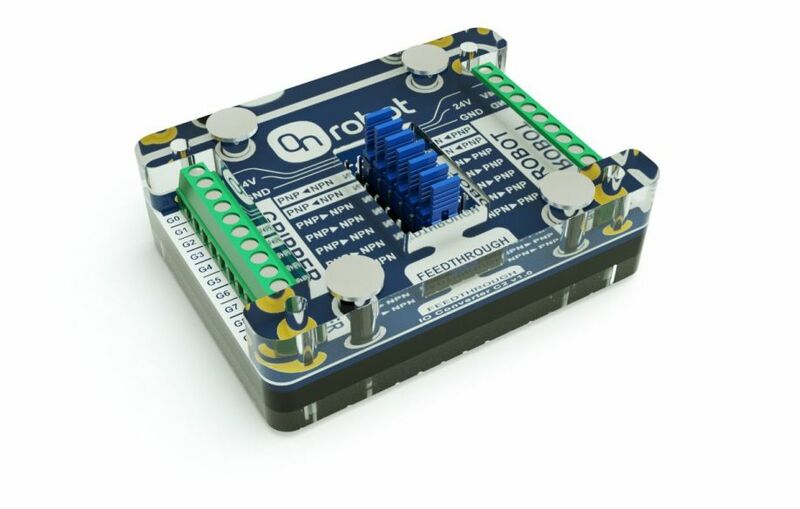 To address this challenge, we’re Iaunching the new Digital I/O Converter Kit at our Automate booth. The converter supports seamless integration of our RG2, RG6, Gecko, and VG10 grippers with a wider range of both collaborative robots (cobots) and traditional robotic arms, such as KUKA, FANUC, Yaskawa, Kawasaki, Doosan, Nachi, and Techman models. Our mission is to facilitate faster deployment of collaborative applications, the converter is an important piece of that puzzle. We look forward to showing the improved compatibility to our booth visitors. 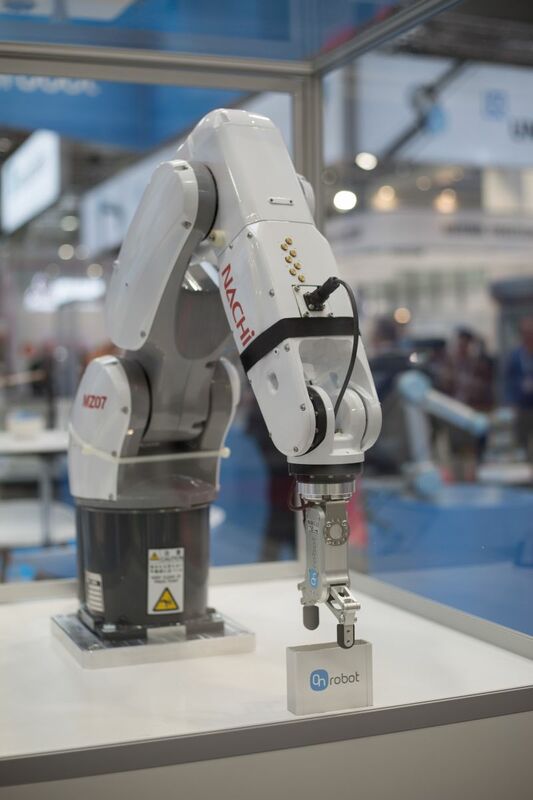 OnRobot end-of-arm tooling is now increasingly showcased in other Automate booths as well where our OEM partners chose our EOAT for their own automated solutions. We look forward to walking the show floor, witnessing our products in action all over McCormick Place.